Fishing is one of the oldest and most enjoyable pastimes for just about anyone and everyone. Fishing is an activity that brings triumphant joy as you pull the “big one” from the water. Naples FL is one of the most beautiful places to fish and if you choose us at Captain Eric Inc., we promise to give you the experience of a lifetime. We provide Naples Florida Fishing taking you through the pristine estuaries or the always-calm Gulf of Mexico to give you the best fishing experience of your life. Owner, Captain Eric, has been surrounded by boats his entire life. 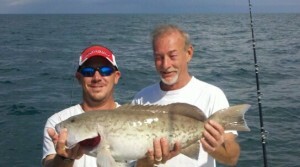 He has over forty-three years of experience with boating and twentyfive years of professionally Fishing Naples. Captain Eric and his crew, no matter if you are a novice or expert angler, guarantees you a great time on your Naples FL Fishing excursion. We also offer deep-sea fishing in the Gulf. In addition to catching the big fish like shark, goliath grouper and barracuda, you may even spot bottlenose dolphins, sea turtles and other deep-sea creatures. 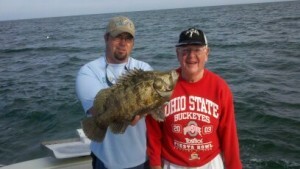 If your preference is inshore, we can just as easily have a great time with successful fishing. We offer fishing charters that are four to eight hours long. We welcome families to join us and we look forward to seeing many of them back each year. If you are looking for Naples Charter Fishing at its best we are the charter fishing company you need. After all, fishing does have the reputation as one of the best ways to relax and unwind. Take a look at our Team Lobo Facebook page to give you an example of some of the recent fish that past guests have caught. 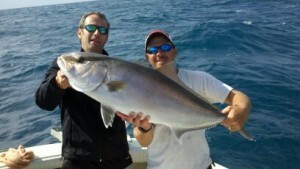 Also take a look at our Naples Fishing Reviews page to see what these guests thought of us! Our website will provide you with detailed information about our charters including our boats, the “SOLO LOBO” and “LOBO” and give you exactly what you will need to bring to ensure a good time. Please feel free to “fish” around on our website. We look forward to becoming your Naples Florida Fishing Charter! Copyright © 2015 Captain Eric.